You speak, your home listens. The new voice-controlled Smart Home app lets customers use voice activated commands to interact with their ADT Pulse system. 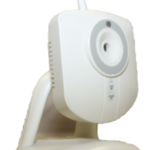 Spoken commands control lights, thermostat, door locks and the security system. How it works is biometric voice recognition authenticates the user after the customer sets up a unique phrase. This phrase becomes the customer’s secure password. Speaking a command can initiate a single service or a mode that triggers multiple tasks. It’s simple to use, especially when your hands are full or when using a touchpad isn’t practical. With ADT Pulse® Interactive Solutions, you’re connected to your home in a whole new way. Via secure access from any web-enabled computer, mobile device or touchscreen, you’ll be able to view real-time video of what’s happening at home. Everyone needs a little help managing life at home. 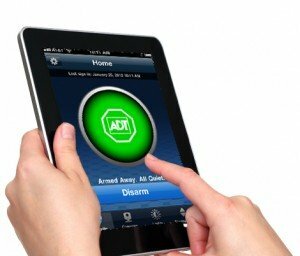 Now ADT Pulse® can help! To ensure that your home is the perfect temperature when you come and go, ADT Pulse® allows you to remotely turn your thermostat up and down. On top of that, you can take control of your electricity by remotely automating, scheduling, dimming or turning lights on and off- indoors and outdoors! 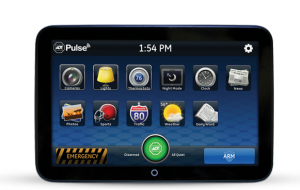 The ADT Pulse® interactive touchscreen panel allows you to manage your security and lifestyle from any room in your home. You’ll be able to save energy and money by adjusting thermostats and lighting, accessing live video, locking and unlocking doors, and much more.